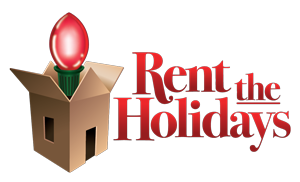 Rent the Holidays(RTH) may modify these Terms or alter, suspend, or discontinue the Services at any time for any reason. RTH will use commercially reasonable efforts to notify you of material changes to these Terms by, where appropriate, posting a notice on the Site and/or sending an email to the email address you provided to RTH. 18 YEARS OR OLDER. Products may only be rented or purchased by individuals 18 years of age or older. By clicking to these Terms, you represent that you are 18 years or older and that you are authorized to use the chosen payment method (including, without limitation, credit cards, debit cards, etc.) for the purpose of renting or purchasing the Products as described in these Terms. OUT OF STOCK, SUBSTITUTION, BACKORDER AVAILABILITY. At times, certain items may be out of stock, not currently available or on backorder. RTH will make commercially reasonable efforts to inform you when this is the case. RTH expressly reserves the right to substitute similar items in order to complete your order. DELIVERY. Orders received during regular business hours will be shipped the next business day. All shipping shall be via Federal Express Ground. Delivery times will vary based on the Federal Express delivery schedule. We will provide you with a tracking number for your shipment once it has shipped. COLLECTIONS. If you do not pay the amounts you owe to RTH when due, then RTH will need to institute collection procedures. You agree to pay RTH’s costs of collection, including without limitation reasonable attorneys’ fees. COMMUNICATIONS. You consent to receive communications from us, including, where appropriate, via email, text messages, calls, and push notifications, including for the purposes of order status notification, reminders, facilitating secondary authentication, and providing other information. RENTAL FEE. The rental fee (“Rental Fee”) for the Product will be the total of the rental fee, insurance charges and delivery charges listed on the Site or App for your rental of the Product. When you place your rental order for a Product, you hereby authorize RTH to charge your payment card for the Rental Fee. RTH will charge your payment card the amount of the Rental Fee immediately upon your rental order. A reservation of a Product on the Site or App is an order for the rental of that Product, regardless of how far in advance that Product is reserved. Rental Fees exclude all federal, state and local taxes, GST, fees, customs, duties, levies and other governmental assessments, all of which shall be paid by you directly or, if paid by RTH, shall be paid by you to RTH in connection with your rental order. CANCELLATION POLICY. Your order may be canceled at any time prior to shipment. Once shipped, the full rental fee will be charged. RETURNS. All Products must be returned in the same condition as when they are received. This includes, without limitation, products are to be in proper working order and completely untangled. A fee of up to 200% of the Rental Fee shall be charged for products not returned in this order. RETURN PACKAGING. With delivery of the Product, RTH will provide you with a pre-paid, pre-addressed return box as well as instructions for your use in returning the Products to RTH (“Return Packaging”). RECEIPT OF THE PRODUCTS. Upon delivery, you bear responsibility for the Product(s). You acknowledge that a Secure Shipping Address is highly recommended. Your address must be a location where an individual can physically receive Product(s). In the event that an un-secure shipping address is provided, RTH does not bear liability for Products left unattended. Furthermore, you acknowledge that providing anything other than a Secure Shipping Address may result in delivery delays and additional delivery fees for which RTH will not be liable. You will be liable for all such delays and additional delivery fees. USE OF THE PRODUCTS. You agree to treat the Products reasonably, appropriately, and solely for their intended purpose. You are solely responsible for loss, destruction or damage to the Products due to theft, disappearance, fire, or any other damage beyond normal wear and tear. You are also solely responsible for injuries, up to and including death of you or any third party, as well as loss, destruction or damage to any property, real or personal, belonging to you or any third party arising from your use, including any misuse of any Products. If you return a Product that is damaged beyond normal wear and tear, then you agree that RTH shall charge you, and you shall pay, for the price for repairing or replacing the Product, as determined in our discretion, up to the 200% of the rental price for the Product. INDEMNIFICATION. You shall indemnify and hold RTH harmless, including its officers, related entities, affiliates, shareholders, employees and agents, from and against all claims, damages, suits, judgments and losses, including reasonable costs and attorneys’ fees, arising out of your use of the Services and/or Products under this Agreement. RETURN OF THE PRODUCTS; EXTENSIONS. You agree to return the Products to RTH in the Return Packaging on or before the return date for the Products that are identified in the online invoice for your order. You may extend your order for a Product on the Site, App or; provided that any extensions are subject to pre-payment of an additional 10% Rental Fee applicable to that Product for the period of time of the extension. Extensions shall be for a period 30 day. You must return the Product by delivering the Product in the Return Packaging to a Federal Express store located in the United States by 12 p.m. on or before the date that the Product is due. LATE FEES. If you return the Products late or not at all, a late fee of 25% of our total will be charged to the payment card you used to pay the Rental Fee or to any other payment card included in your account information that you have provided to RTH for the first 30 days that you are late returning the Products, and you agree to pay such late fees. The late fee is payable for each order of Products that is not returned when due, not for each Product that is the subject of the order that is late. If you have not returned a Product within 30 days after the return date for the Product, your late return will be considered a non-return and RTH will charge your payment card the maximum late fee set forth in this Section 2(B), less any late fees that you have already paid, plus applicable sales tax. PAYMENT OF 200% RENTAL VALUE RTH will not charge you for more than an amount equal to 200% of the Rental Fee plus the original Rental Fee, in the aggregate, for any charges arising under this Section 2(B), excluding collection costs. If you pay RTH an amount equal to 200% of the original Rental Fee under this Section 2(B) and you still possess the Product, the Product is yours to keep, though on an “AS IS” basis without warranty of any kind. For the avoidance of doubt, the limitations of this clause shall not apply to the Rental Fee, which is charged separately from, and in addition to, any other charges payable by you pursuant to this Section 2(B). LOST RETURN PACKAGING. If you lose the Return Packaging, you will be responsible for returning the item at your own expense by the expected return date, and providing RTH with a tracking number. Alternatively, upon request RTH will ship new Return Packaging to you and shall charge you the cost of shipping plus a $20 convenience fee. LIMITED WARRANTIES. The following are the limited warranties RTH provides in connection with Product rentals. RTH’s liability to you for failure to comply with any of these warranties is limited to timely delivery of Product conforming to the warranties or a refund of the Rental Fee (excluding insurance and delivery charges) as determined by RTH. See Section 7(A) below. CORRECT PRODUCTS. Subject to availability, we will deliver the Products you ordered, including the specified size, color and design, on or before the delivery date for which you ordered them. If we are able to reach you, you will be entitled to choose any available rental Product to replace the unavailable Product. If we are unable to reach you, you acknowledge and agree that we may send you a similar replacement product of the same or greater value. Products may appear different in color and style than as displayed on the Site or App. CONTENT PROVIDED “AS IS.” All content and information available through the Services, including but not limited to product descriptions and specifications, product photos, designs from RTH’s designer and photos and comments from other users (“RTH Content”) is available to you on an “as is” basis and is to be used for general information purposes only. Such information is provided on a blind-basis, without any knowledge as to your identity or specific circumstances. The RTH Content is provided with the understanding that such information does not constitute professional advice or services. As such, you agree not to rely upon or use any RTH Content as a substitute for consultation with professional advisors. As used in these Terms, the Services include the RTH Content. UPDATES We may update the RTH Content, including Product descriptions and specifications, as we deem appropriate and without notice to you. We take your questions and requests for information seriously, and we will use reasonable efforts to respond in a timely manner. However, we cannot guarantee a prompt response in all cases. If you post, upload or make available to RTH or the Services, or otherwise submit to or through RTH as part of your use of the Services, including the Site or App, any information, data, text, images, files, links, software, chat, communication or other materials, including but not limited to photos and reviews relating to your use of the Products (“Your Content”), you hereby grant to RTH a perpetual, non-exclusive, irrevocable, fully-paid, royalty-free, sub-licensable and transferable (in whole or part) worldwide license to use, reproduce, transmit, display, exhibit, distribute, index, comment on, modify, create derivative works based upon, perform and otherwise exploit Your Content and your name, image, voice, likeness and/or other biographical information or material in connection with Your Content, in whole or in part, in all media formats and distribution methods now known or hereafter devised (including on the Site and App, in email and other promotional campaigns and on third party sites promoting the Services) in connection with the Services, including but not limited to advertising, promoting, and marketing the Services, all without further notice to you, with or without attribution, without limitation as to frequency, and without the requirement of any permission from or payment to you or to any other person or entity. You waive any right to inspect or approve any of Your Content or any use of Your Content. By submitting Your Content, you represent and warrant that Your Content and your communication thereof conform to these Terms, including Section 4(C), and that you own or have the necessary rights, licenses, consents and permissions, without the need for any permission from or payment to any other person or entity, to exploit, and to authorize RTH to exploit, Your Content in all manners contemplated by these Terms. You waive all moral rights in Your Content which may be available to you in any part of the world and confirm that no such rights have been asserted. None of Your Content will be subject to any obligation, whether of confidentiality, attribution or otherwise, on our part and we will not be liable for any use or disclosure of any Your Content. Access to parts of the Services requires the creation of a user account, including a user name and password that you choose upon registration. You are solely responsible and liable for any authorized or unauthorized access to your account by any person. You agree to bear all responsibility for the confidentiality of your account information and all use or charges incurred from use of the Services with your account. You agree to notify RTH promptly of any unauthorized use of your account or password. There may be delays, omissions, or inaccuracies in the Services, including the RTH Content. The Service may become unavailable due to maintenance or malfunction of computer equipment or other reasons. The Services, including the RTH Content, including all intellectual property rights in and to the Services and any changes, modifications or corrections thereto, are the property of RTH and its affiliates and licensors, and are protected from unauthorized copying and dissemination by United States copyright law, trademark law, international conventions and other intellectual property laws. By way of example only, and not as a limitation, “Rent the Holidays” and the RTH logo are registered trademarks of Rent the Holidays., under the applicable laws of the United States and/or other countries. Other RTH product or service names or logos appearing on or through the Services are either trademarks or registered trademarks of RTH and/or its affiliates. All other product names are trademarks or registered trademarks of their respective owners. RTH and its affiliates and licensors reserve all rights in and to the Services not granted expressly in these Terms. Nothing shall be construed as granting to you, by implication, estoppel, or otherwise, any license or right to use the Services or any RTH Content, through the use of framing or otherwise, except: (a) as expressly permitted by these Terms; or (b) with the prior written permission of RTH or such third party that may own such RTH Content. Subject to your compliance with these Terms, RTH grants to you a limited, non-exclusive, non-transferable, revocable license to access and use the Services for your personal, non-commercial purposes. By sending us any feedback, ideas, suggestions, documents or proposals (“Feedback”), you grant to us an irrevocable, non-exclusive, royalty-free, perpetual, worldwide license to use, modify, prepare derivative works of, publish, distribute, sublicense and otherwise exploit the Feedback, and you waive all moral rights in the Feedback which may be available to you in any part of the world and confirm that no such rights have been asserted. You represent and warrant that the Feedback does not contain any confidential or proprietary information of any third party, and that RTH may use your Feedback without restriction or obligation to you or any third party. You may deactivate your account and discontinue your use of the Services at any time. In order to deactivate your account, please contact us at RTH@BBServicesinc.com. You understand that Your Content may continue to exist and be used on or through the Service even after such deactivation. Any violation of these Terms, including any of the prohibitions in Section 4(C), may result in suspension or termination of your access to the Services and/or removal of Your Content. RTH may also terminate your account if RTH determines that your conduct poses a risk or liability to RTH, or for any other reason as determined by RTH in its sole discretion. The limited warranties set out in Section 2(B) for rentals apply only to you and may not be assigned, sold or transferred to any third party. No other warranties are granted by RTH in connection with the Services or Products. The limited warranties shall not apply to any matters arising from your violation of these Terms. Your sole and exclusive remedy and RTH’s sole and exclusive liability for a breach by RTH of the limited warranties set out in Section 2(B) shall be, at RTH’s option, RTH’s use of its commercially reasonable efforts to replace the non-conforming Product in a timely manner or a refund of your Rental Fee, as applicable (excluding insurance and delivery charges). EXCEPT FOR THE LIMITED WARRANTIES SET OUT IN SECTION 2(B), THE SERVICES AND PRODUCTS, INCLUDING ALL TRIAL PROGRAMS, ARE PROVIDED “AS IS” WITHOUT ANY EXPRESS OR IMPLIED WARRANTIES, INCLUDING WITHOUT LIMITATION THE WARRANTIES OF MERCHANTABILITY, QUALITY OR FITNESS FOR A PARTICULAR USE. SPECIFICALLY, BUT WITHOUT LIMITATION, RTH DOES NOT WARRANT THAT: (I) THE SERVICES, INCLUDING THE RTH CONTENT, ARE CORRECT, ACCURATE, RELIABLE OR COMPLETE; (II) THE SERVICES WILL BE UNINTERRUPTED OR ERROR-FREE; (III) DEFECTS WILL BE CORRECTED, (IV) THE SERVICES OR THE SERVER(S) THAT MAKES THE SERVICES AVAILABLE ARE FREE OF VIRUSES OR OTHER HARMFUL COMPONENTS, OR (V) THE PRODUCTS WILL BE FIT FOR YOUR INTENDED PURPOSE OR OTHERWISE ACCORD WITH YOUR EXPECTATIONS. THIS DISCLAIMER DOES NOT APPLY WHERE OTHERWISE PROHIBITED BY LAW. UNDER NO CIRCUMSTANCES SHALL RTH BE LIABLE FOR ANY DAMAGES OF ANY KIND, INCLUDING WITHOUT LIMITATION DIRECT, INDIRECT, INCIDENTAL, SPECIAL, CONSEQUENTIAL, EXEMPLARY, MULTIPLE OR OTHER DAMAGES ARISING OUT OF OR IN CONNECTION WITH THE USE OF, OR THE INABILITY TO USE, THE SERVICES AND/OR THE PRODUCTS, EVEN IF RTH HAS BEEN ADVISED OF THE POSSIBILITY OF SUCH DAMAGES. YOUR SOLE AND EXCLUSIVE REMEDY HEREUNDER SHALL BE AS SET FORTH UNDER SECTION 7(A) OR TO DISCONTINUE YOUR USE OF THE SERVICES AND TERMINATE THESE TERMS. THE FOREGOING LIMITATION OF LIABILITY DOES NOT APPLY WHERE OTHERWISE PROHIBITED BY LAW. Both you and RTH agree that in the event of any dispute between us, you and RTH will first contact the other party and make a good faith sustained effort to resolve the dispute before resorting to more formal means of resolution. (a) Place of Arbitration Hearings. Unless you elect to conduct the arbitration by telephone or written submission, an in-person arbitration hearing will conducted at a JAMS facility in your area or at a JAMS facility in Chicago, Illinois. (e) Costs and Fees. You will be subject to a $250 filing fee to initiate an arbitration. To the extent permitted by JAMS procedures, each party shall bear its own costs and expenses and an equal share of the arbitrators’ and administrative fees of arbitration, with RTH remaining responsible for its share of costs, expenses and fees plus any costs, expenses and fees required of it under JAMS procedures. The parties expressly waive any ability to maintain any class action in any forum. Any arbitration, claim or other proceedings by or between you and RTH shall be conducted on an individual basis and not in any class action, mass action, or on a consolidated or representative basis. You further agree that the arbitrator shall have no authority to award class-wide relief or to combine or aggregate similar claims or unrelated transactions. You acknowledge and agree that this agreement specifically prohibits you from commencing arbitration proceedings as a representative of others. If for any reason a claim proceeds in court rather than in arbitration, we each waive any right to a jury trial. Any claim that all or part of this Class Action Waiver is unenforceable, unconscionable, void, or voidable may be determined only by a court of competent jurisdiction and not by an arbitrator. JURISDICTIONAL ISSUES. RTH makes no representation that the Services are appropriate or available for use outside the United States. Those who choose to access the Services or any part thereof from outside the United States do so at their own risk and are responsible for compliance with applicable local laws. EXPORT LAWS. The laws of the United States of America prohibit the export of certain software and data to particular persons, territories, and foreign states. You agree not to export the Services, including the RTH Content, or any part thereof, in any way, in violation of United States law. GOVERNING LAW AND VENUE. These Terms are governed and interpreted pursuant to the laws of the State of Illinois, notwithstanding any principles of conflicts of law. Any disputes in connection with these Terms that, notwithstanding the mandatory arbitration provision we have agreed to above, results in court action, shall be resolved exclusively by a state or federal court located in Cook County, Illinois, and you specifically consent to the personal jurisdiction of such courts and waive any claim of forum non convenes. ENTIRE AGREEMENT. These Terms are the entire agreement between you and RTH relating to the subject matter herein and shall not be modified except by RTH in accordance with these Terms, or as otherwise agreed in writing by you and RTH. No employee, agent or other representative of RTH has any authority to bind RTH with respect to any statement, representation, warranty or other expression not specifically set forth in these Terms. ASSIGNMENT. You may not assign or transfer these Terms or any of your rights or obligations under these Terms. RTH may assign these Terms at any time without notice to you. FORCE MAJEURE. RTH will not be liable for, or be considered to be in breach of these Terms on account of, any delay or failure to perform as required by these Terms as a result of any cause or condition beyond RTH’s reasonable control. CONTACT INFORMATION. Please send any questions or comments, or report violations of these Terms, to RTH at RTH@bbservicesinc.com or Rent the Holidays, Attn: Legal, 170 Touhy Court, Des Plaines, IL 60018.